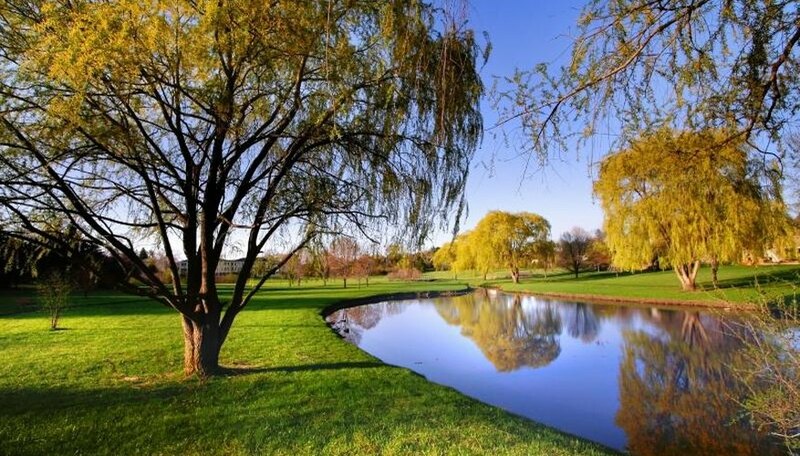 Location is a primary consideration when selecting the best plants for erosion control. Sunny slopes with sandy soil and rocky hillsides both need a mixture of sturdy, drought-tolerant trees, spreading perennials and/or groundcovers. Shaded locations require plants with roots that can hold soil in place and thrive in low-light levels. In locations near water, like stream banks, plants that are fast-growing and tolerate wet soil are the best choices. Sturdy ornamental grasses, and grasses native to the local region, are good choices for holding sandy soil in place. 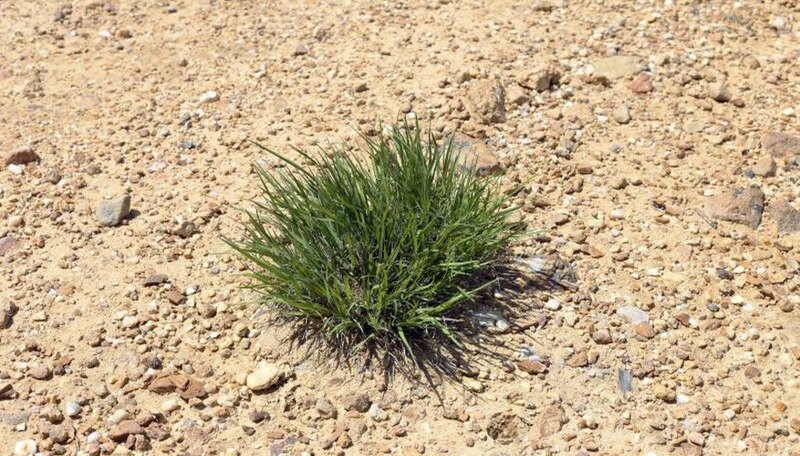 Blue or sheep fescue (Festuca ovina glauca, hardy in U.S. Department of Agriculture plant hardiness zones 5 through 8) is one option that grows well in sandy soils and full sun. Don't seed it over the entire hillside, however. A mixture of different types of plants is the best way to hold soil in place. Groundcovers and shrubs pair well with grasses, and several species work well on sunny, sandy slopes. One example is wineleaf cinquefoil (Potentilla tridentata, USDA zones 2 through 8). This drought-tolerant plant has clusters of tiny white flowers, and the shiny green leaves turn deep wine-red in the fall. If there's only a thin layer of soil to work with on the slope, choose plants with shallow roots. Some pine tree species (Pinus spp.) 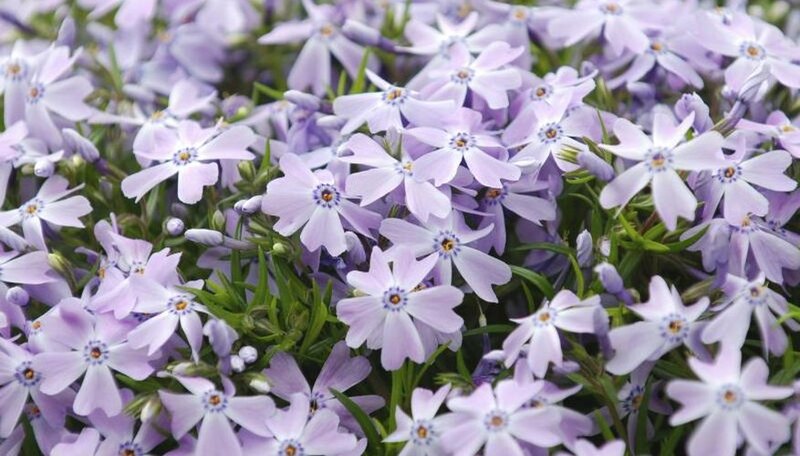 only need a minimum of 12 inches of soil to grow, so they are useful on shallow or rocky slopes. 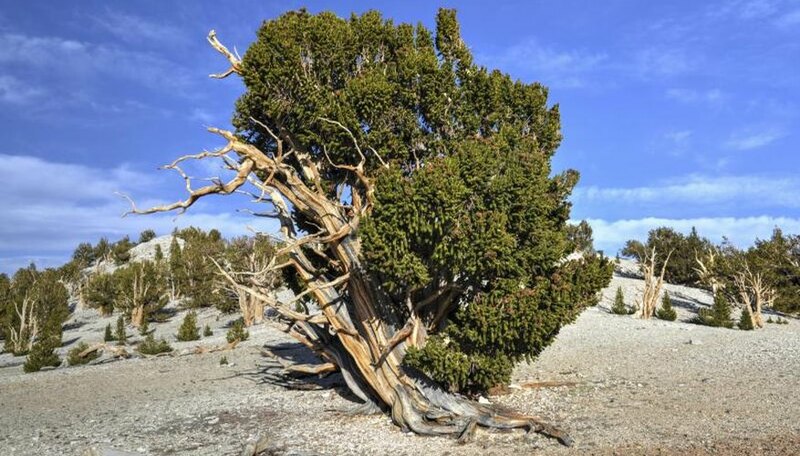 Good pines for erosion control include bristlecone pine (Pinus aristata, USDA zones 4 through 7) and Eastern white pine (Pinus strobus, USDA zones 3 through 8). Pines must be planted along with other plants for a complete erosion solution. Spreading perennials like tawny daylily (Hemerocallis fulva, USDA zones 2 through 9) are useful for pairing with shallow-rooted trees. Like the pines, this daylily species prefers full-sun locations. If the area with erosion problems is shaded, many woodland plants do a good job of holding soil in place. Wild blue phlox (Phlox divaricata, USDA zones 3 through 9) and wild geranium (Geranium maculatum, USDA zones 4 through 8) both flower in the spring. Some species of viburnum also grow well in full shade and on slopes, including arrowwood viburnum (Viburnum dentatum, USDA zones 2 through 8) and maple-leaf viburnum (Viburnum acerifolium, USDA zones 3 through 8). The banks of ponds, rivers and streams are often eroded by moving water. Planting moisture-tolerant species at the edges of the water helps hold this soil in place. 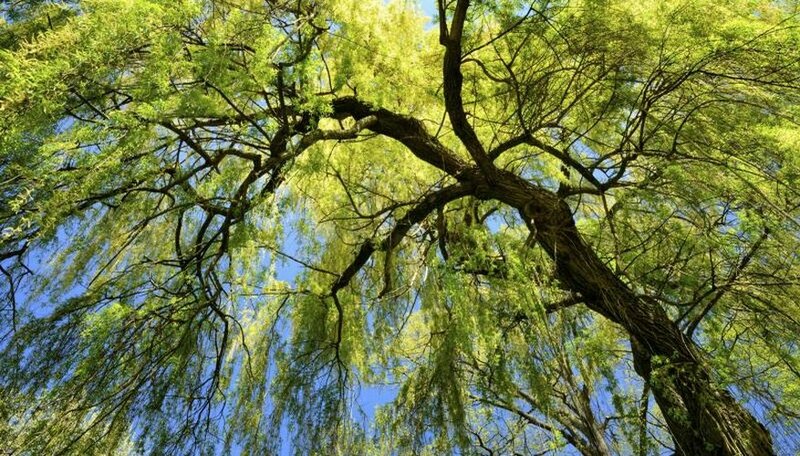 For sunny areas, willows (Salix spp.) form thick mats of spreading roots that keep soil from washing away. White willow (Salix alba, USDA zones 2 through 8 or 9 depending on cultivar) is one of many willow species that work well in these locations. In shady locations, hostas (Hosta spp.) grow well in moist -- but well-draining -- soil. Blunt hosta (Hosta decorata) and wavy-leaved hosta (Hosta undulata "Univittala") are vigorous, fast-growing species hardy in USDA zones 3 through 8.